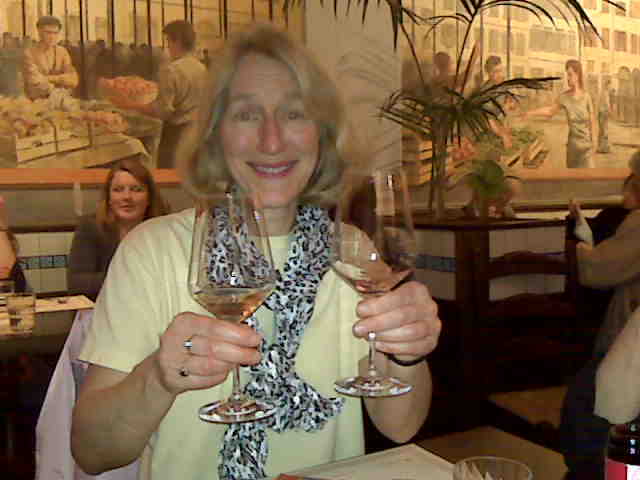 April 1, the day my Tuscany group flew home, my next group began their journey to Italy. On the morning of Friday, April 2, the next group landed at the Rome airport. 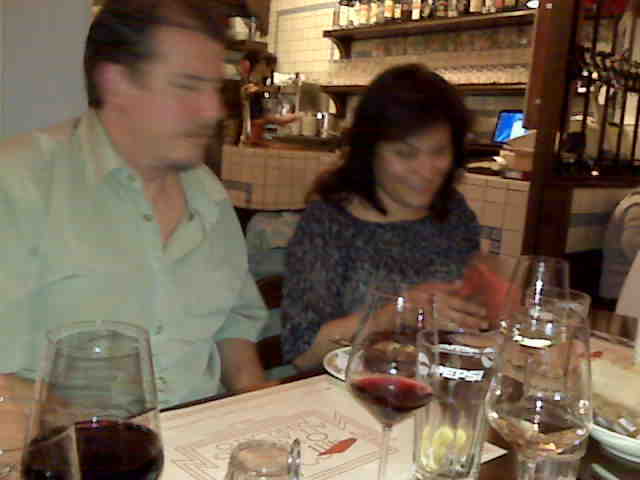 I had stayed overnight in the nearby village of Fiumicino so was at the airport when they all landed. 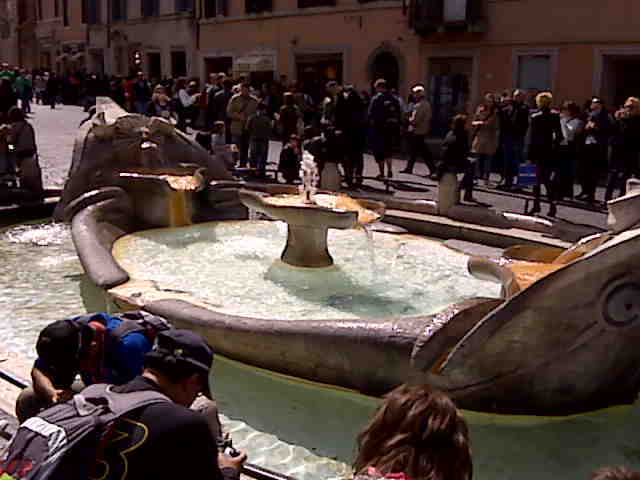 I had arranged for a private bus transfer to the hotel in downtown Rome, the 3 star Hotel Sonya. It is a small, centrally located hotel with a great staff and a wonderful daily breakfast. We dropped the bags at the hotel and took off. First we walked over to the nearby 10th century Santa Marie Maggiore, famous as the church of the Snow in August legend. Next we went over to the main train station and I bought them all unlimited subway/bus tickets for the whole week. 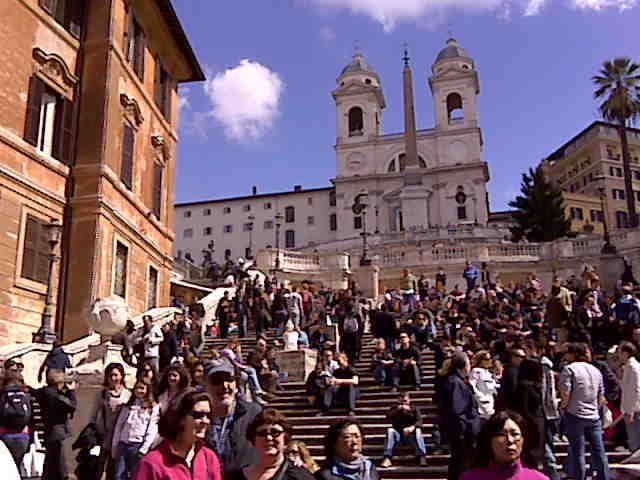 Then we subwayed to Piazza de Spagna, the location of the Spanish Steps. This is one of the most upscale areas of this beautiful city, with names like Versace, Dior, Tiffany and Gucci. The steps are in lovely Baroque architecture flanked by homes where the English poets Keats and Byron once lived. 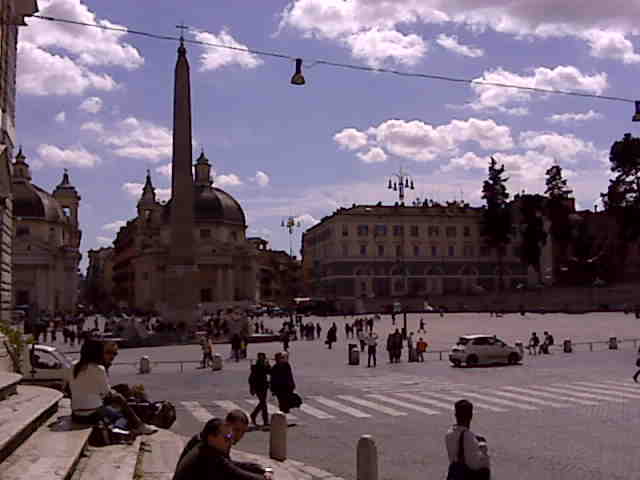 The next subway stop was Piazza del Popolo, the old northern gate of the city. 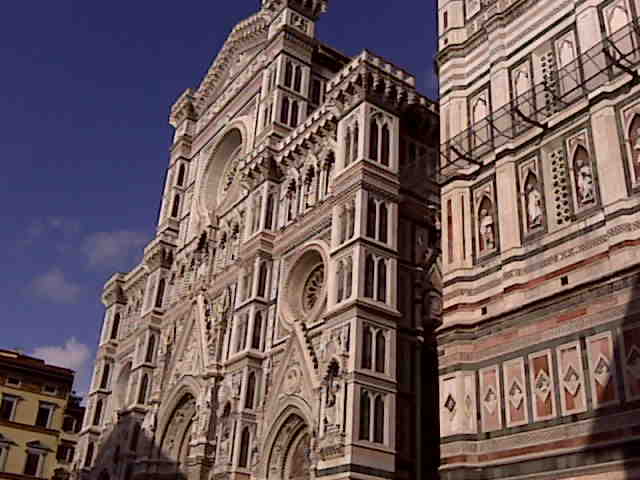 In 1500 when Michelangelo arrived from Florence it was a garbage-filled mud hole. 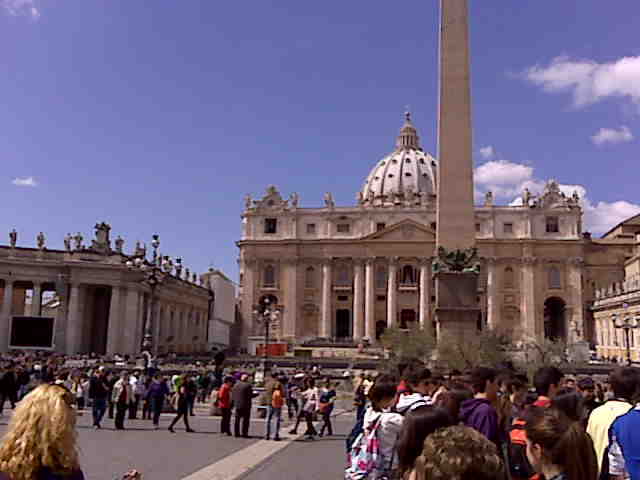 Today it is a graceful, beautifully balanced plaza with sweeping views of the twin churches, raised walkways, an obelisk at the center and the remarkable Santa Marie del Popolo chuch. This church is the location of two glorious Caravagio paintings, The Crucifixion of St. Peter and the Conversation of St. Paul. It was midafternoon on this sunny day but the group was tired so we subwayed back to the hotel, ate an early dinner and went to bed. Very early today we were at the gates of the Vatican Museums. The line was already very long but we had reservations and walked right in. This collection of art treasures rivals and at times surpasses the collection of the Louvre in Paris. Tens of thousands of pieces line the halls and open spaces, among them The Last of the Laoccoans, priceless Greek originals and a remarkable Egyptian collection of mummies. But of course the highlights are the Raphael Rooms and the Sistine Chapel. Raphael’s School of Athens and the Disputa are masterpieces of the Renaissance facing one another, not to mention the incredible Battle of Milvian Bridge, depicting Emperor Constantine’s victory over his rival Maxentius. Shortly after, we entered the Sistine Chapel, considered by many art critics to be the single greatest artistic achievement in the history of mankind. Michelangelo painted it over a period of about four years in the early 1500s on the ceiling of the room where new popes are chosen. Scenes from the Old Testament adorn the panels over head, including the most famous, The Creation of Man. It is an optimstic, exuberant vision of mankind. However, the scene over the main altar is of the Last Judgment, a swirling, angry, painful vision of mankind being harshly judged by a disappointed Christ. This was also painted by Michelangelo but many, many years after he finished the ceiling. Clearly his view of mankind had radically changed. Toward the back of the Chapel the doorway was open that lead directly to St. Peter’s Cathedral. 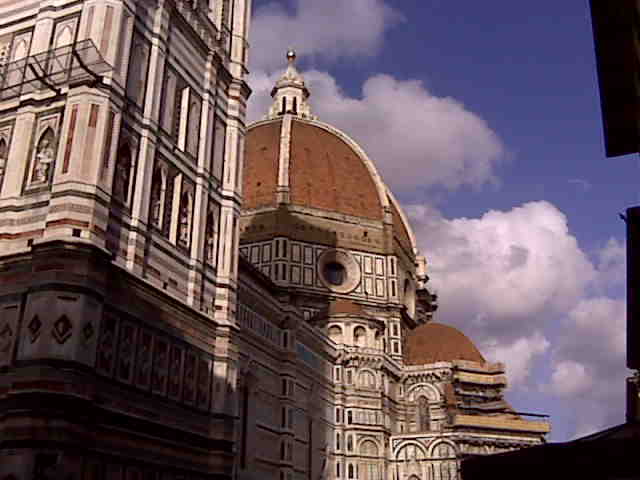 By far the largest church in the world, its immensity was intended to awe and inspire. The graceful and balanced classical exterior designed by Michelangelo and topped by his stupendous dome belies the raucous, overwrought Baroque interior by Bernini. 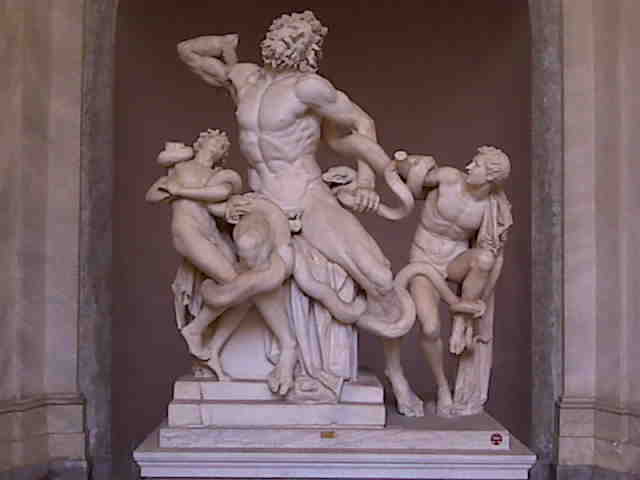 But Baroque did what it was intended to do: bring the masses back to the fold. Near the entrance stands Michelangelo’s famous Pieta, done at about age 30. Church officials were preparing for Easter Sunday so the middle of the cathedral was inaccesible but we were allowed to walk all around the perimeter and view the tombs, sculptures and other artifacts. Leaving the cathdral we walked out onto St. Peter’s Square, embraced by Bernini’s colonade of columns. It was a warm, sunny day for a stroll across the piazza to a bookstore before we boarded the subway back to our hotel and dinner at a nearby restaurant.